Hey, Pyjama Bosses. It’s Miguel here from my office. And in today’s episode, I’m gonna be showing you how to plan to make a million dollars in network marketing. Now, for some of you, a million dollars may seem a little bit out there, right? So if you’re planning to make a hundred thousand dollars in the next 12 months, this episode is also for you. So the only thing you need to do is pretty much sit down, relax. Maybe you have pen and paper and write, and yes, the reason I’m using this fancy thing today is because I’m about to use technology, believe it or not to act draw a few things and show exactly how Masa and I plan for a million dollars in network marketing. And how you can actually do the same. Whether you wanna make a million dollars, or a hundred thousand dollars a year. So if you’re looking at planning for 2019, this episode is for you. So let’s go and get it done. 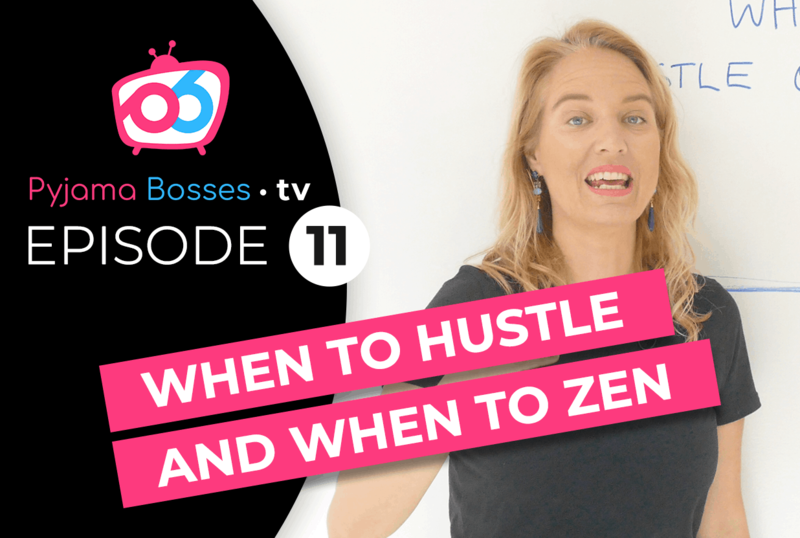 Excellent, so welcome again to Pyjama Bosses TV in today’s episode, in this week’s episode, I’m gonna be showing you how you can have the clarity on how you can make a million dollars a year in network marketing. So as you can see, today I’m right seated right here on my desk in front of my computer. And I’m gonna be drawing a few things and usually you know, I do it right there as you can see, the whiteboard. Or the whole wall. But today I’m gonna be doing … I’m gonna use a little bit of technology today, you know, old school versus new school. So the new school I’m gonna be using something called iPad. And I’m gonna be sharing the screen with you in just a second. And the reason being because I might be you know, erasing somethings and drawing somethings and I wanna make sure that it’s, you know, as clear as possible. Because when people understand really what it takes to make a hundred thousand a year, or ten million dollars, or a million dollars a year, it doesn’t really matter the number. When you have the clearly of what it takes, then you can break it down and bring it down to the point where you know exactly what you need to do today. And yes, I understand it’s all about taking massive action, and talking to people, sponsoring them, following up, presenting, all these things. But at the end of the day also, it more about having that clarity, that clear understanding when you actually draw a … write that goal of making a million dollars a year in network marketing. Becoming a millionaire in network marketing. It’s about having that mental picture of what it is in terms of what is it that you need to do to get there. And again, what it … having the mental picture, you know you can have a mental picture of the car you’re gonna buy, the houses you’re gonna have, the lifestyle you’re gonna have. But again, that comes down to when you’re making a million dollars a year, right? marketing, how we plan for the million dollars a year income, okay? So if you’re ready I’m about to share the screen with you, and show you how we do it. Excellent, so I hope you guys can all see my screen right now. So where should we start? Well, the first thing is as if you were gonna … I’m gonna show you how Masa and I we plan today and we’d done in the past, obviously. How to basically make a million dollars or understand what it is that is required of us to make a million dollars in our business in network marketing, right? So the first thing a few basics kind of concepts to understand as we go into it is regardless of the company that you guys are in at the moment, okay? So there is one thing I’m gonna, yep, I’m gonna use this one. So one thing is let’s say the dollar value, you know, you basically whenever you make some sales, the company has a product … company and has a dollar value. Now, out of that dollar value, then you have an internal currency, right? You can call it O.V., you can call it B.V., P.V., I don’t know, it has like a hundred different names. The question is this is internal currency, right? And based on this, right? Based on that, you get paid a percentage, right? And this is the check that you’re making, you know? That’s what you earn, yeah? You earn based on a percentage of these internal currency, yeah? So far so good? Yeah? So now depending on companies, the percentages kind of change and again, I’m not here to say this company is better than the other, all the companies are good. The product that you have in your MLN company have to be good. Otherwise, the companies would be out of business, right? So let’s start with that. Now in regards to that, every single company has a different type of compensation plan. Some claim to be better than others, and again, for me, in personal experience, I think at the end of the day if you do the work, you get paid. If you do the work better than others, you get paid better than others. If you have better result than others, you paid better than others. You know? As simple as it gets. Now, let’s go back to the dollar, the volume in terms of O.V., internal currency and then what you earn. So for example, the thing to understand is if you wanted to make, let’s say a million dollars a year, right? A million dollars a year, okay? Let’s say a year if I went back to what it takes to do per months, it would be around making 80, 87, I think it is. Let’s just round up to do a hundred K. Let’s just try to say, let’s say a hundred K per month, okay? That means every single moth your check should be a hundred thousand dollars, okay? So what do you need to do to earn a hundred thousand dollars? So here’s how Masa and I work it out. First of all, you in the company, you probably get started people with maybe one, two, or three different packages, so three different levels. And I don’t know, maybe the first one is let’s say 250 dollar in value, okay? The second one is maybe 500 dollars in value. And as an example, okay? And the third one is about a thousand dollars in value, okay? Now those values have attached a B.V., okay? And maybe that’s a 125, maybe that’s 250, and that is 5 B.V., O.V., you name it. You know, it doesn’t really matter so much. So the question is once you have that, then the question is how much you get paid, what kind of percentage you get paid if every went well and in an ideal world you were able to maximise the compensation plan in your company, you know? You will be paying usually between anything 3 and I would say 10% of this B.V. that you’re doing. Okay? Now, how would that work? Well, first of all, the question is what is the package that you’re promoting? Right? You’re promoting the 250, you’re promoting the 500, or you’re promoting the thousand. Okay? So the one that you focus on, that’s the one that you should be calculating everything on. And again, there’s not a perfect science, this is just an approximate number that can give you an idea of the amount of work you’re gonna have to be doing in the next 12 months. You know? Starting today, okay? And since we are beyond the year, I guess it’s a good time of the year to start planning your goals for 2019. So if your goal is to become a millionaire in your business, I guess this is a good chance for you to understand probably how much it would take for you to actually do it. So first of all, let’s say your goal is a hundred thousand again, in a month. Okay? And we can go back to other goals and there’s a trick, there’s a reason to my madness, okay? So fine you bear with me. So the first thing is, okay, well, first of all, with companies, let’s just say that out of, let’s say a million dollars in revenue, usually, let’s say about 500 thousand, would be about 50% usually around, it depends on companies, you know? 50% is the O.V., that B.V. value, okay? And out of that, you get paid 3 to 10% of that? Right? So if you were making a million dollars, that would be 500 thousand O.V., and 10% … you know, let’s just that you can maximise the compensation plan and with bonuses and every, and this and that, you were able to for this example, again, doesn’t mean that it has to be like that, but for this example, you’re gonna get paid 10%. So it makes it easier for me, I’m not so good at maths. So if you bear with me, that would make more sense. So that would be how much? 10% of 500 thousand, that would be 50 thousand dollars. Okay? So that would be 50 thousand dollars a month. Yeah? Until then all these numbers are kind of clear. Right? So out of a dollar value, then it becomes a volume value internal currency value, and out of that you get paid a percentage. Now, in an ideal world, as I said, if you were to earn as much as possible from the volume that you’re bringing. internal income on currency and that would mean that is 2 million dollars a month in revenue, okay? For some of you that might look like it’s a lot, for some of you it may look like it’s not that much, you know? And again, it comes down to where you’re at in your business. And if it looks like it’s too much, bear with me, at the end of this video, you will see why I’m doing all this, because then you can break it down in smaller bite size pieces, okay? So if that is the case, you are aiming for 2 million dollars. So if you were to divide 2 million dollars in revenue, okay? 2 million dollars in revenue. If you were to divide that, in between a though dollar package, right? Which is the one that you’re focusing on, okay? What would be the number for that? 2 thousand packages? Yes? One, two, three. One, two, three. Two thousand packages. Simple maths, right? I guess I’m not … hopefully I’m not wrong. Otherwise I would have to reedit this video. So 2 thousand packs of a thousand dollars. Correct? So my goal every single month would be if I was as powerful as I can be, and I can do that in one month, okay? My goal, okay? My goal … Let me just erase that again. My goal per month would be 2 thousand packs of 1 thousand dollars, or 2 thousand packs of 500 B.V., O.V., whatever that is. And that equals to a pack that has whatever amount of products is equal to that, okay? So that would be the focus that I need to do every single month, right? So many packs every single month. Now, here’s the beauty of and the amazing thing about this amazing profession. This is what you will need to do on a monthly basis in order for you in this case, in this scenario, this theoretical scenario, for you to earn a hundred thousand dollars a month, yes? Now, the reality of it is life is not perfect, so volumes may have to go up or down depending on how you can maximise that compensation plan. But the beauty and the amazing thing about this industry is that you’re not alone. You are not doing this alone. That means that you have them members. That means that when you have a look to the two thousand packs, it may seem a lot for one person, or maybe you’re so far from the … it doesn’t look like it’s too much for you, which is great. But if it is, then when you think about it, let’s say that you had 10 leaders. 10 leaders. And they had 10 leaders each. 10 leaders each. Okay? And at the same time, they had another 10 leaders each. You guys see where I’m going with this? Can you see how all this efforts to do the two thousand packs doesn’t require you to work a hundred times harder? When you structure your business, when you have leadership, it seems that much easier. And you have a system where you are using the power of tools to actually leverage the time of everyone’s effort, right? Things can happen so much faster. and I’m gonna change the colour here, maybe to let’s say a bright green. Okay? Now we are planning for a hundred thousand dollars a month. But what if we were to plan for a thousand, a hundred thousand dollars a year? Okay? Instead of a hundred thousand, that would be an average of 10 thousand dollars a month, right? So 10 thousand dollars a month? That maybe … that might seem more achievable for you, okay? And then again, there is a reason to my madness. So if I was to do that, that means instead of a million dollars in volume, in internal currency, you will need to do, how much? 10 times less, right? A hundred thousand. And this will be again, ten times less, so that would be how much? Two hundred thousand. Correct? Yes? So when I go back to the packs, instead of two thousand, it would be how many? Two hundred. Correct? So going back to this scenario, okay, my goal to make a million dollars a year was two thousand packs per month, now my goal to get ten K a month. A month. Would be how many? Two hundred packs in a month, of what? Of the thousand dollar pack, or five hundred O.V., B.V., P.V., whatever internal currency you guys are using in your company they will equal again certain amount of product. Now, this is a an example. So you need to translate this to your company, your … not your compensation, but your company and their starting pack, if you do have a starting pack. That starting pack, that would equal to a certain amount of internal currency and it would equal to a certain amount of product, okay? Then the only thing you need to calculate is the number of packs, the number of packs that you would need to, in an ideal world, if you were so powerful that you can do anything you want in one month, okay? How many packs you will need to sell consistently every month to achieve that goal. Now, why do I break it down 10 times less? Because right now, when you have these 10 leaders, guess what happens? If you’re aiming to make a million dollars a year, most of the time what happens is you’re gonna have at least 10 leaders that are gonna want to do … guess what? They’re gonna want to do at least 10 thousand dollars a month. If you can help these 10 leaders to do 10 thousand dollars a month, that means to sell 200 packs, guess what happens? You’re gonna achieve your goal. In addition to that, they have 10 leaders themselves, and then guess what? These 10 leaders, they only need to do 20 packs each. But again, these leaders, they have another 10 people … You guys see what I’m saying, so the only thing they need to do is 2 packs a day. Can you get a structure in your business that you have 10 leaders that can have 10 leaders, that can have 10 leaders, in 3 levels? And just by the bottom level helping the bottom level, or the people that are coming in, to do 2 packs per month, sponsoring brand new people, I’m not even talking about the ones that are there, they are purchasing one a monthly basis, that’s in addition. Can you see how getting people to do in this case, in this scenario 2 packs a day, something that is achievable, and it doesn’t require you working a hundred times harder. It’s all about leveraging the leaders that you have and helping them to achieve their goals, okay? Now, some of you might be saying, “Well, yeah but my company doesn’t pay the 10% or my company, you know, my compensation plan is different, or you know”, all these things. Now, I do agree with you. Not all the companies have the same compensation plan, not all the companies have the same structure, not all the companies have the same products. But here’s the thing that all the companies have, they have a compensation plan, first of all. It starts with a product, or a number of products, in some packs. And those packs have an equivalent to a dollar sign, right? 2 hundred, 5 hundred, a thousand dollars. It doesn’t really matter. Then out of those, there is an internal currency and you get paid a percentage of that internal currency. Now, from that internal currency, you get the check. Now based on that check, you can say, “Well, if I want to earn this much, I reverse engineer the whole process and go back to the pack. And if I need to do … let’s say, a 250 dollar pack, or a 2 O.V., or B.V. pack, whatever that is”, it always equals to a certain amount of dollars. And then you can number, you can put a number of the packs that you need to … your organisations do sell, or move. And when you do that, that equals a certain amount of check for you. And that would equal a certain amount for your leaders. Okay? So hopefully that kind of … it’s a little bit more clear. Now that we are ending the year, I hope that kind of brings a little bit of clarity to all of you that are watching this video. Now, this world is not perfect, nothing goes as we plan it, you guys understand. But at least when you’re thinking about that million dollars income per year, or a hundred thousand income, you can think about what you’re gonna be doing with that money. You can think about all the tools and perks that come with getting that kind of income. But at the same time, you need to have the clarity of if I was to focus today and I need to focus my team to do something and to achieve certain goal that is practical, that is clear. If somebody came to me today and just said, “I wanna make 10 thousand dollars a month”, the first thing that I would say to them is, “Okay, what kind of starting pack are you promoting? How much volume in B.V., O.B., or whatever internal currencies that and how much in an ideal world in your compensation plan you get paid on? Once I know that, then I would say, “Okay, well, if I wanna make 10 thousand dollars a month, or I wanna make a hundred thousand”, then I would say, “I will need an equal amount, or this amount of packs. So let’s focus now and let’s get 10 leaders that can help 10 leaders, that can help 10 leaders. Or 5 that can help 5, they can help 5”. Now, the biggest mistake that I see sometimes people make is to do the small business kind of a mind, or to have the small business mindset. And that mindset is it’s all on me. Nobody can do as good as I do. So by default I’m gonna take charge, and I’m gonna do it on my own. You can if you want, but that most probably is not as sustainable as if you were to help others to achieve their goals in this amazing profession where you … by you helping others, you can help yourself, okay? So with that said, this is Miguel from Pyjama Bosses TV, I hope you enjoy this episode today. If you have any questions as usual please make sure that you go and come and ask, you know? And regards to Masa and I, we are always very excited, we love helping people in the industry of network marketing. That’s what we do for a living today, and we are super excited when we have amazing success stories of our students that probably struggle, or used to struggle a little bit in the industry. They come to us, and we give them the … I guess the clarity in a way they can actually put their head down and go to work. And they go and make it happen. So in that regards, if you’re one of our students and you’re watching this video, I’m very, very, proud of you. If you’re not, and you’re looking for mentorship in some way, shape or form, there will be some links around here. And by all means, make sure that you click on that link, and do what basically the process that it is. So you can actually have a chat with one of my staff or myself, and see how we can help you further. In the meantime, I hope you guys had an amazing end of 2018, and hopefully you’re already thinking how can I end up this year with a bang, a big huge bang, and so I can start 2019 already in motion. In the meantime, have an amazing day, and we will see you soon. Bye.